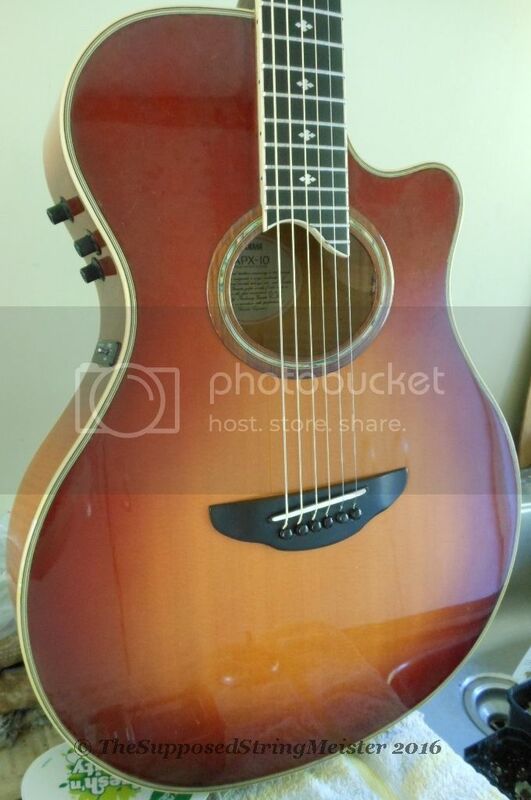 Here some photos of a nice Yamaha APX-10 from the early nineties. It needed a refret, so some pics here. 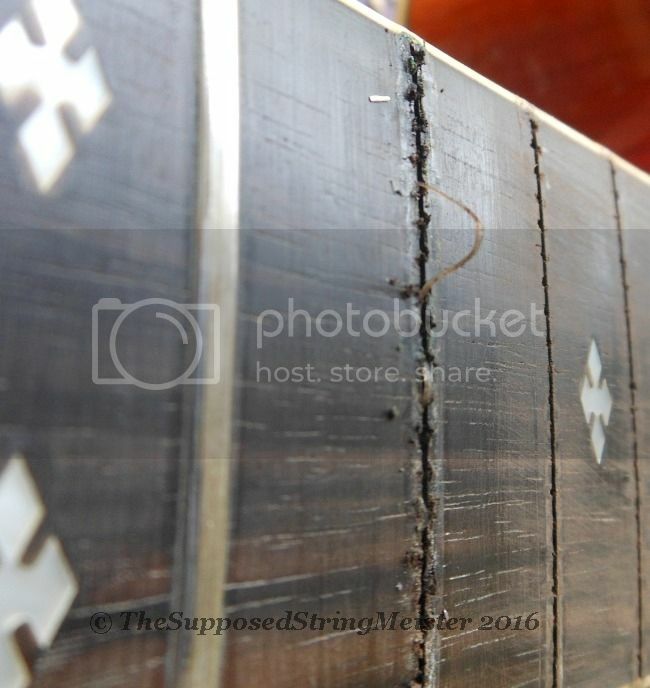 Removing frets using a soldering iron to heat frets before pulling them out. 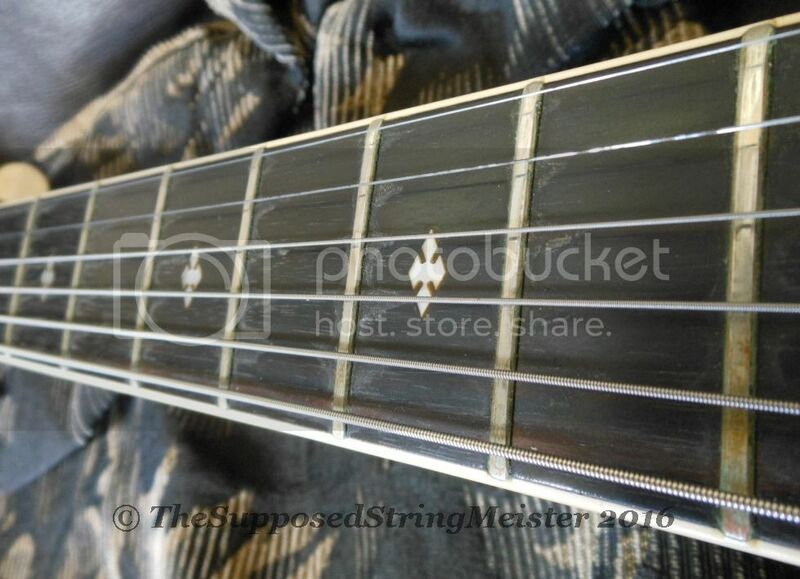 New frets in. 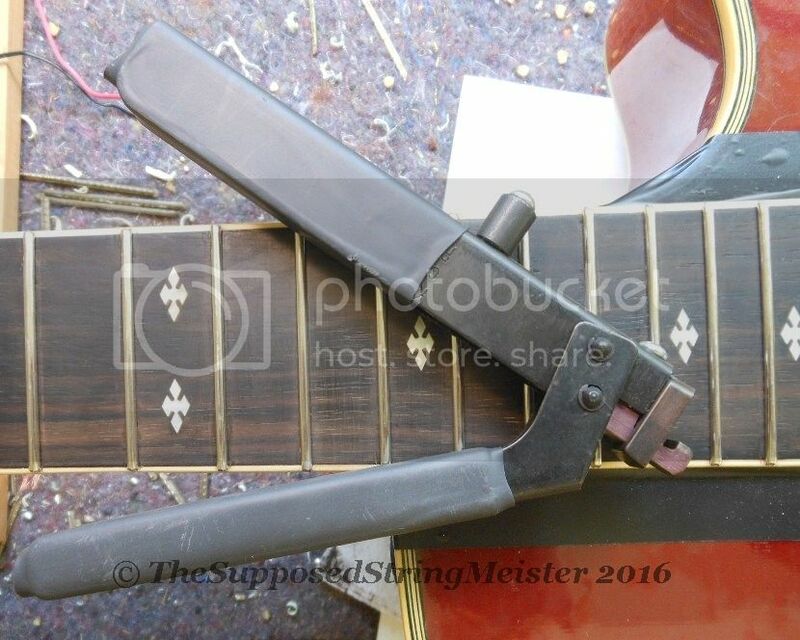 The fret tang nipper tool from Stewmac is a 'must have' for necks with binding. SO much easier and faster! 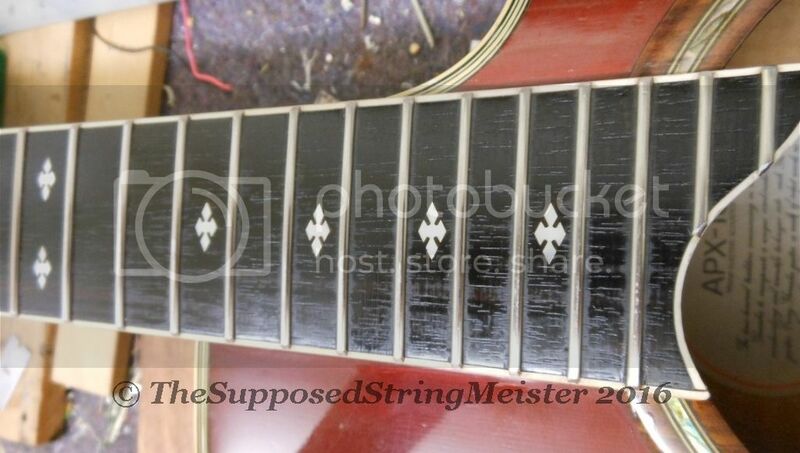 Frets leveled, crowned and polished. 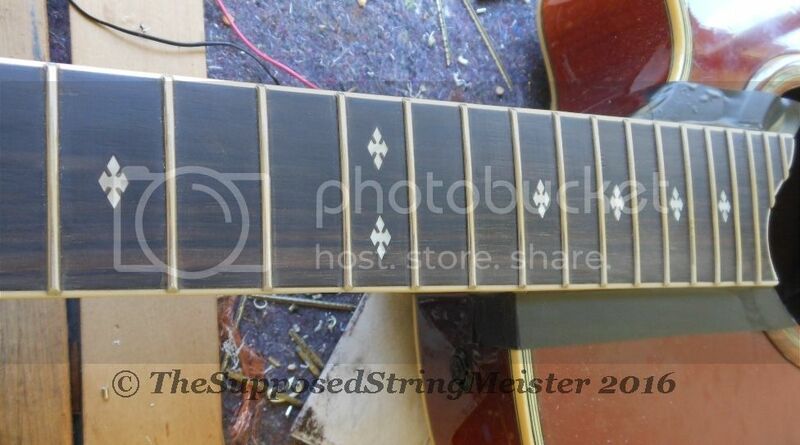 Fretboard oiled. I wasn't happy with the plastic saddles so decided to cut some bone saddles and lower the saddles as the same time by about 1 mm. Here a photo of the four plastic saddles and the bone one still in one piece. Bone saddle finished apart from cutting it into four pieces. 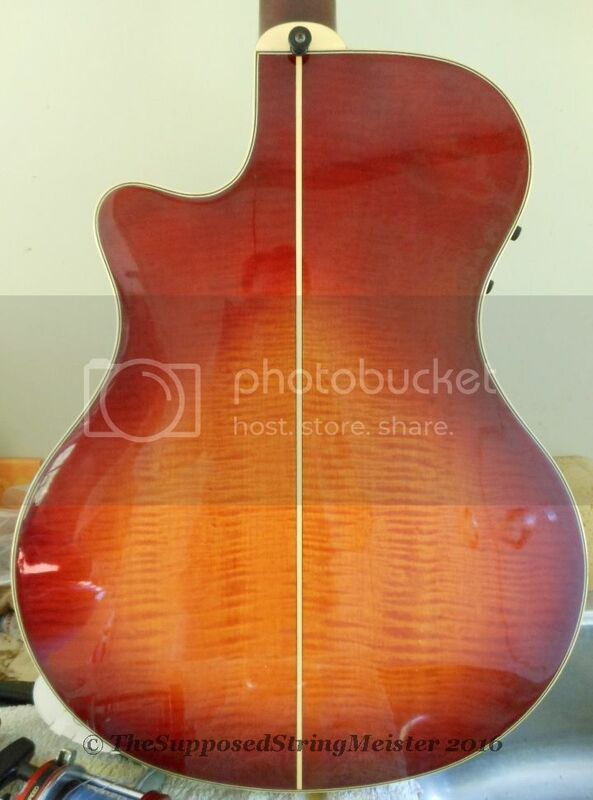 After refretting a guitar you will have to make another nut to accommodate for the new fret height. I have not done that yet and for now I have just shimmed the (bone) nut with a thin sliver of bone. A new nut will be done when I feel like it.